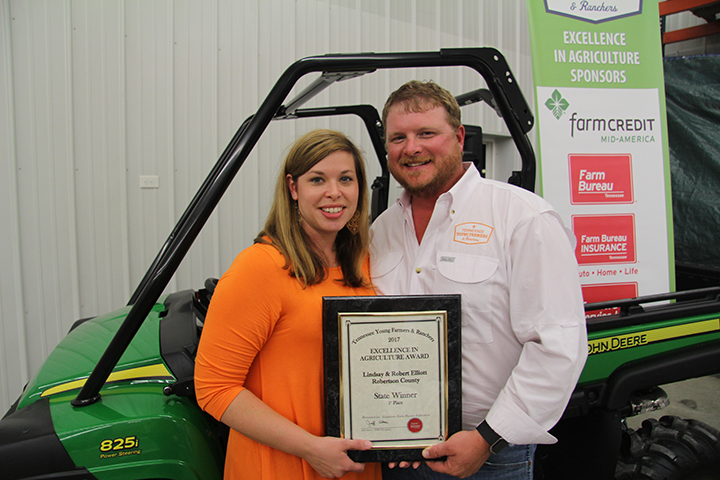 During the Young Farmers & Ranchers Fall Tour, Robertson County’s Robert and Lindsay Elliott were named the state winners of the Excellence in Agriculture Award and will go on to compete in Nashville at the American Farm Bureau Federation’s Convention in January. 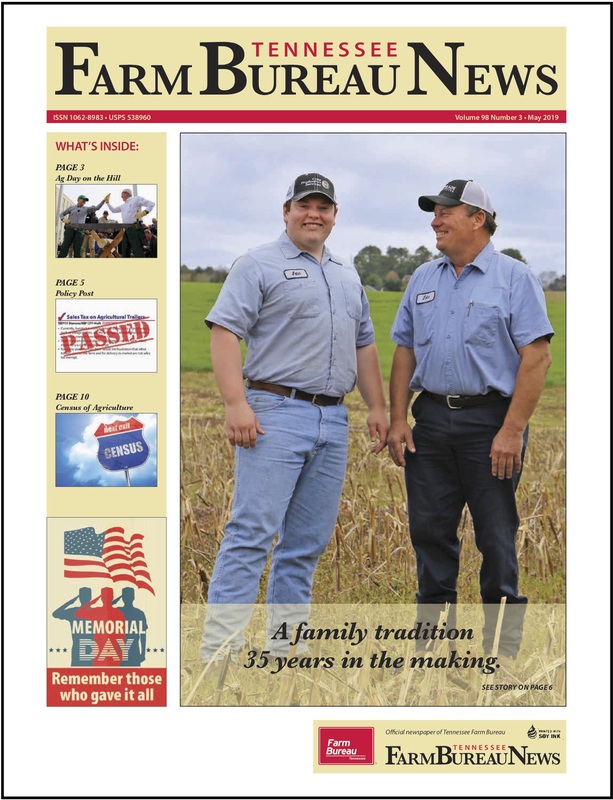 The Elliotts farm in Robertson County with Robert’s family on a beef cattle, tobacco and row crop operation, with Robert’s primary occupation being the agronomist at Jepson Family Farms and Lindsay is a loan officer for Farm Credit Mid America. 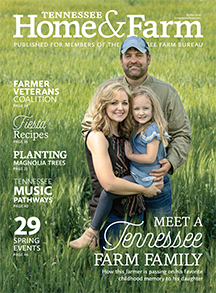 Both Robert and Lindsay have been very active in the Young Farmers and Ranchers program, as well as the Robertson County Farm Bureau and their local community. 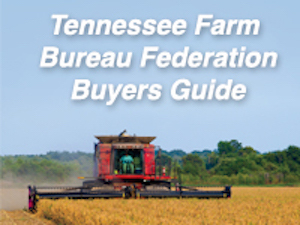 Both have served on the Tennessee YF&R State Committee, with Robert serving as state chair in 2016. As state winners, the Elliotts receive a John Deere Gator sponsored by Farm Credit Mid America and a trip to the American Farm Bureau Convention in Nashville, courtesy of Tennessee Farm Bureau in January 2018, where they will compete for national honors with other state winners. The winners will have their choice of a 2018 Ford truck, provided courtesy of Country Financial and paid registration to the AFBF YF&R Leadership Conference in Reno, Nevada on Feb. 16-19, 2018. The runners-up will receive a Case IH Farmall 50A tractor, courtesy of Case IH. Third place finalists of will receive a Case IH 40” Combination Roll Cabinet & Top Chest and $500 Case IH parts card, courtesy of Case IH and $2,000 of Stanley Black & Decker merchandise (PROTO, Dewalt, Stanley, Lenox & Irwin) courtesy of Stanley Black & Decker. Fourth place finalists will receive a Case IH 40” Combiination Roll Cabinet & Top Chest and $500 Case IH parts card, courtesy of Case IH.